It seems as though, every few months, an article called something like “Never EVER Get A PhD, It WIll Ruin Your Life Forever! !” is published. It is then met with various response articles, either of the “Yes It Ruined My Life Too” or the “Actually PhDs Are Completely Worthwhile, You Jerks” varieties, and fades into obscurity just in time for the next article to come out. I really don’t want to be another one of those response articles, but I think it’s worth writing a few things here that I generally don’t see mentioned in the PhD hate/lovefests. 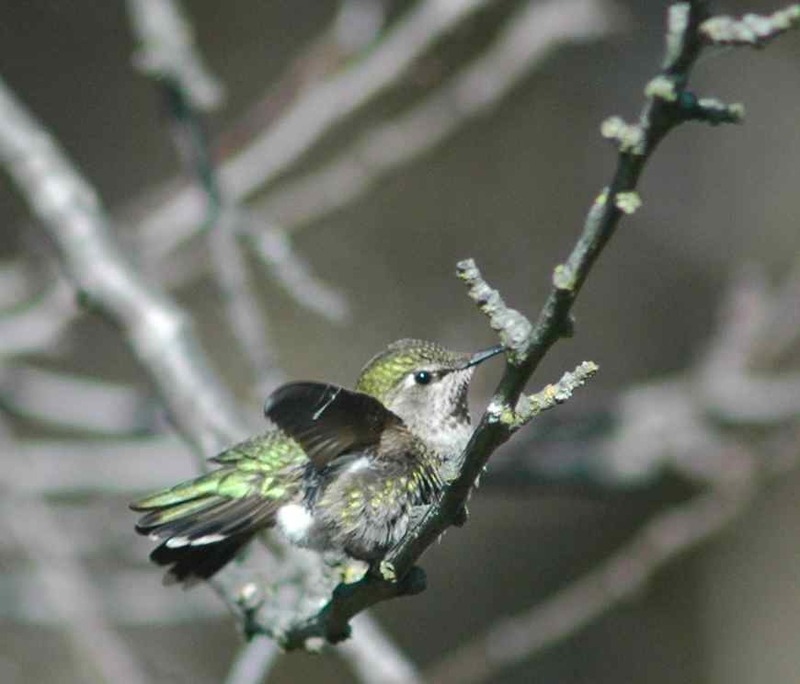 If you don’t care about PhDs, here is a fluffed-up Anna’s Hummingbird so this post isn’t a total loss. A lot of those PhD horror stories are about humanities PhDs. The latest one, from Slate, at least explicitly states this in the title; but it would be easy, reading fast (“Don’t do it. Just don’t. I regret going to graduate school”), to miss the point that these comments may only be applicable to humanities PhDs. Getting a science PhD can be risky, but it isn’t nearly as inherently perilous (well, unless you count the toxic chemicals and tropical diseases and lasers) as getting a humanities PhD. “The job market is awful” is a relative statement; context matters, and may vary. The job market for tenure-track professorships at universities is definitely worse than it used to be. This is a very different statement than “You will not get a job,” which is what often gets said. Actually you almost certainly will get a job. It might be an adjunct position; it might be at a community college; it might be at a high school; it might not pay as well as you imagined, or have as much time to research/teach/insert-favorite-activity-here as you want; but you will not be unemployable at every possible relevant job. You probably won’t starve on your salary, and you probably won’t have to do damaging repetitive physical labor or anything too mind-numbingly dull. (Teaching Intro Bio for the tenth time might not be your idea of fun, but can you really argue that it would be more intellectually stimulating to man the deep fryer at McDonalds?) If you start out in a position where your job options are in the physically damaging/mind-numbingly dull category, then getting a science PhD will probably improve things. Also, the job market is awful everywhere now. If you want a guaranteed job, be an engineer, a computer programmer, or a geriatrician. If you want to do anything else with your life, you will have to fight a bit for a job. If you want to do something that requires a PhD, the job market for that job will be infinitely worse for you if you don’t have a PhD. That seems obvious, but all the articles I see ever seem to say on the topic is “Stop wanting to do that job!” If you really want to spend your life doing something involving theoretical physics or grassland ecology or, hey, bird behavior, you probably do need a PhD. The job market might still be bad, but it will be a lot better than if you hadn’t gotten a PhD. Not all PhDs are equal. Get a good PhD. Go to a high quality program, work in a vibrant department, talk to innovative people and do good work. A bad PhD is a terrible idea. Don’t go into too much debt getting a PhD. (At a good program, you shouldn’t need to go into debt.) Especially, get a good advisor. There are abusive advisors out there, and getting a PhD from them is not worth it. A PhD isn’t really supposed to be job training. It does teach you skills that you need to continue on in academia, but it’s broader than that. It’s about critical thinking. It’s about working at something really hard and failing a lot for a long time. It’s about doing weird things like making electronics in sterile clean rooms or catching birds in nets. It’s about learning to trust that you can plan, and when the plan fails, that you can fix it again and again and again. A PhD is so much more than a means to an end. Okay, even if everything else I’ve said is old news, I’m guessing that this particular statement is original: A PhD is like a porcupine. Looking at it from afar, it seems fuzzy and adorable. When you come to closely interact with it, however, you find that it is prickly and painful. That’s a shock and a kind of betrayal, and it can take a while to get over it. However, if you stick around long enough, you can figure out ways to minimize the pain (pet it with gloves, maybe?) while still enjoying the good (it’s still cute!). It will shed quills and prick you sometimes no matter what you do, but if you are the kind of person who really loves porcupines, it’s worth it. (Unless you get a mean, biting porcupine. Unfortunately that happens sometimes. Then, maybe try a different porcupine.) 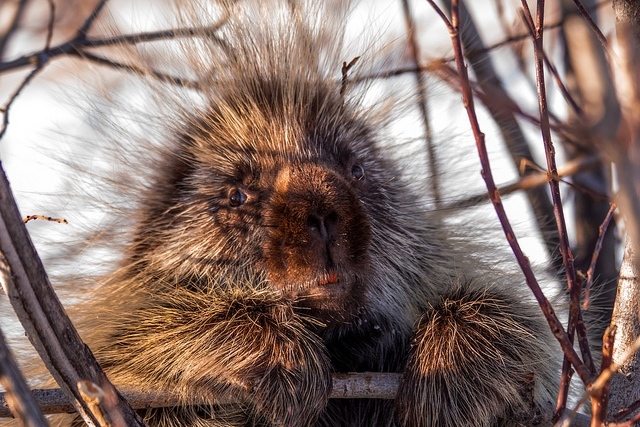 If you aren’t the kind of person who loves porcupines, if you’re getting pricked and writing articles entitled “Having A Porcupine Ruined My Life,” well, definitely get rid of the porcupine! But your experience doesn’t mean that all porcupines are terrible. 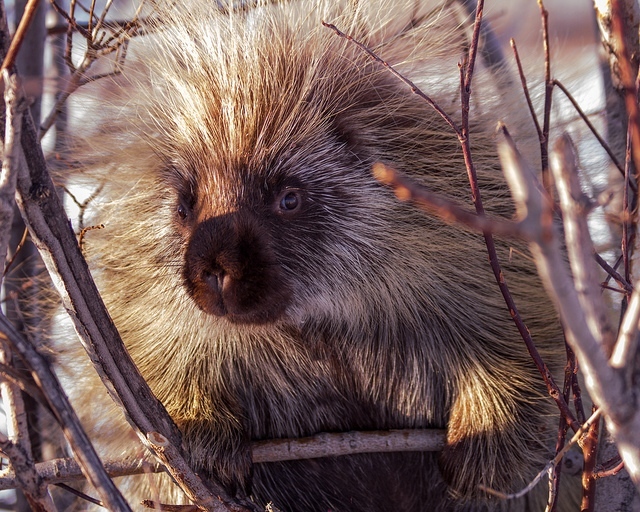 In the end, having a porcupine won’t guarantee you your favorite job or a six-figure salary. It will guarantee you a porcupine; and that is not, inherently, a bad thing. Some days PhDs look less adorable than others. This entry was posted in miscellaneous and tagged grad school, PhD, science by toughlittlebirds. Bookmark the permalink. As a bitter ex-science-PhD student, I have written the “don’t do it!” posts, but I don’t actually think getting a science PhD a bad idea for everyone. I do think that it is essential to pick a VERY good program and a VERY good advisor if you want the whole thing to be not too awful/waste your time. You have to care about your science PhD subject. You have to work very hard for the PhD but the first time somebody calls you Dr, oh my, there’s nothing like it. Thanks for a great post. I thought about, but quickly dismissed, the idea of getting a PhD in education. Instead, I would rather get another masters degree to broaden my knowledge base. Masters look like great fun to me. You’re in, you learn a bunch of stuff, you’re out, bam! Success in life is a two part process. You have to be smart enough, prepared enough to find the right door to open, the opportunity that is a right fit for you (education plays a roll, education and yes luck). Once you have found the right door it is training-education, grit, ingeniouty, and yes luck that gets you through that door. Sometimes we assume that an education, a degree, can teach a fish to ride a bike, life just isn’t that simple. Success and failure are much more complex that just training or education. It’s important to follow your passion…otherwise, what’s the point? If the road you’re on requires a Phd, then that’s the price you pay. The trick to minimizing the pain from a porcupine is to find a careful way to roll it onto its back and then pet the soft underbelly. Great post. And great advice about good advisors. My grad school mentor was the soft underbelly of my experience- she made it all worthwhile! Thanks for the advice, I’ll keep it in mind! And yeah, a good advisor can make SUCH a difference. Did i miss you saying … Do a PhD in something you are genuinely interested in and because you are driven to research it so the degree is the by product of you having fun? I think this is the romantic view that most people have going in to the PhD… and then it bites them. A PhD is pretty much inherently a punishing thing; you have to love what you’re working on in order for it to balance out to be an overall positive experience. The PhD definitely won’t just happen while you’re having fun. I think that’s what i meant. It is not a romantic view bet entirely pragmatic. I meant only do it if you are genuinely interested and driven to do the research otherwise it will destroy you. Thanks for the post. I actually want to get a PhD in accounting, but all these posts have been scaring the crap out of me.